This is a product made from a blend of Spirulina cultured in deep ocean water and Spirulina cultured in drinking water. 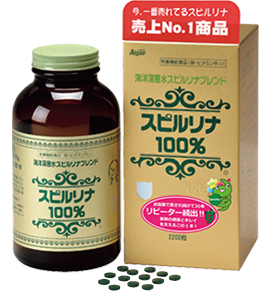 From the mid September of 2015, Spirulina blend 2200 tablets shipped overseas have been changed to this package. 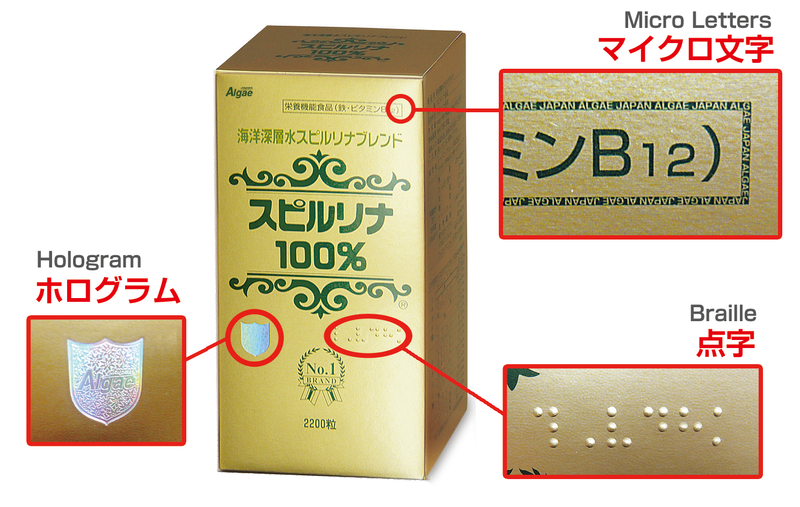 Please check that the genuine products of Japan Algae Co., Ltd. have the following three points attached. 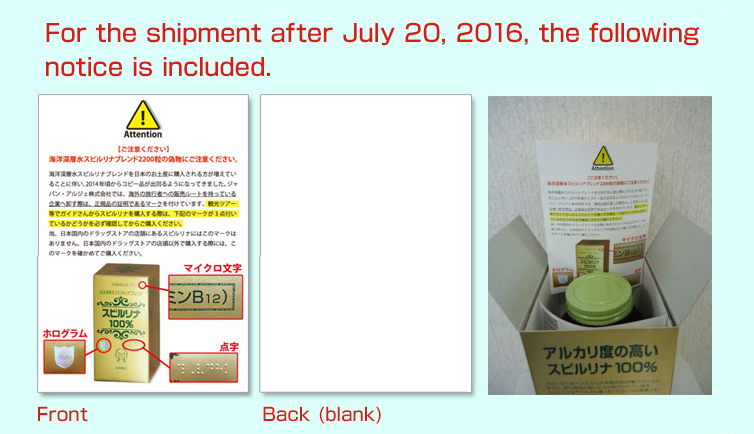 For the shipment after July 20, 2016, the following notice is included.